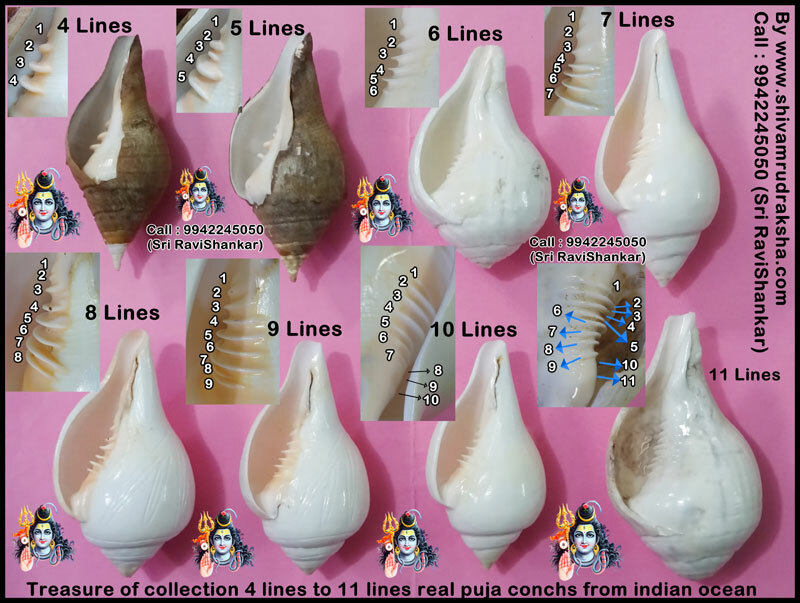 Treasure of collection 4 lines to 11 lines real puja conches from indian ocean normally all puja conch collected from indian ocean have only 3 or 4 lines in it. Above 4 lines it is extremely very rare to get and above 8 lines never we can collect here i have shown collection of 4 lines to 11 lines puja conchs collected it is life time collection nearly take 20 years for collection. By doing pujas and abhishekam by this line conch gives extremely very very high power to your pujas. You will get great success with very good and happiness in your life. You will get extremely very high value in the society.